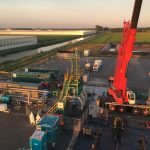 For the Dutch Geothermal Energy sector, ECW Netwerk, together with WEP and Radial Drilling Services (RDS), performed a trial for the optimization of the reservoir potential by the means of radial jetting. 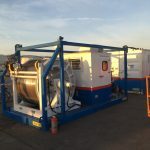 Radial jetting is a non-damaging perforation technology that is designed to increase the flow rate and decrease the pressure losses for production and injection wells. 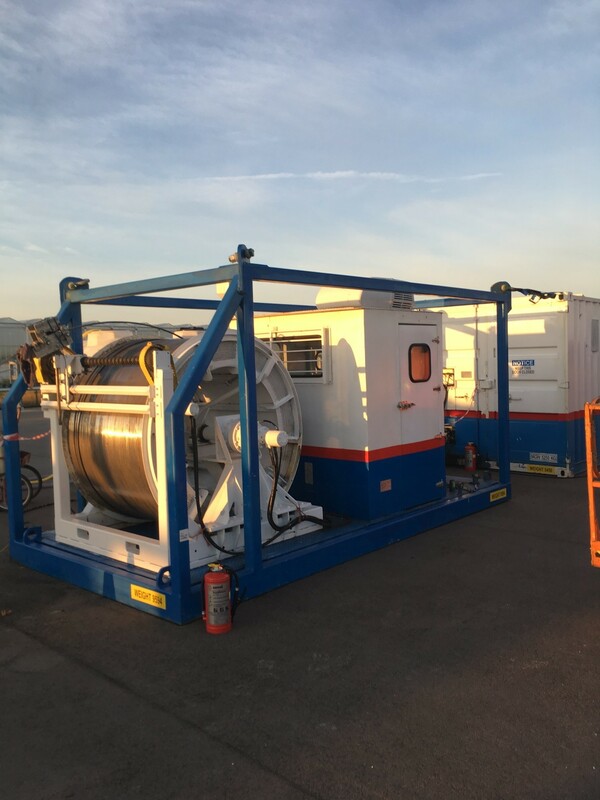 Instead of being drilled with a conventional bit and drilling mud, Radial jetting technology uses high-pressure water that is pumped through a high-pressure hose and jetting nozzle into the formation. First, a tubing string with at the end a deflector shoe is lowered into the well. 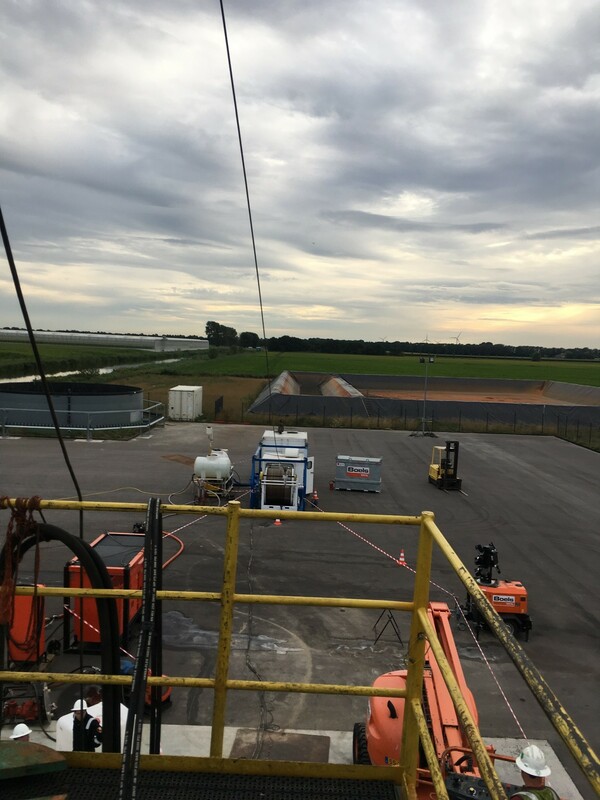 Then via Coiled Tubing (CT) a special cutter is lowered into the well, through the deflector shoe until it reaches the casing. 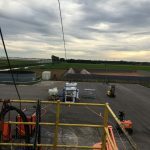 The cutter is then energized to perforate the casing. After the casing is penetrated, the high-pressure hose with the jet nozzle is lowered downhole via CT inside the tubing string. 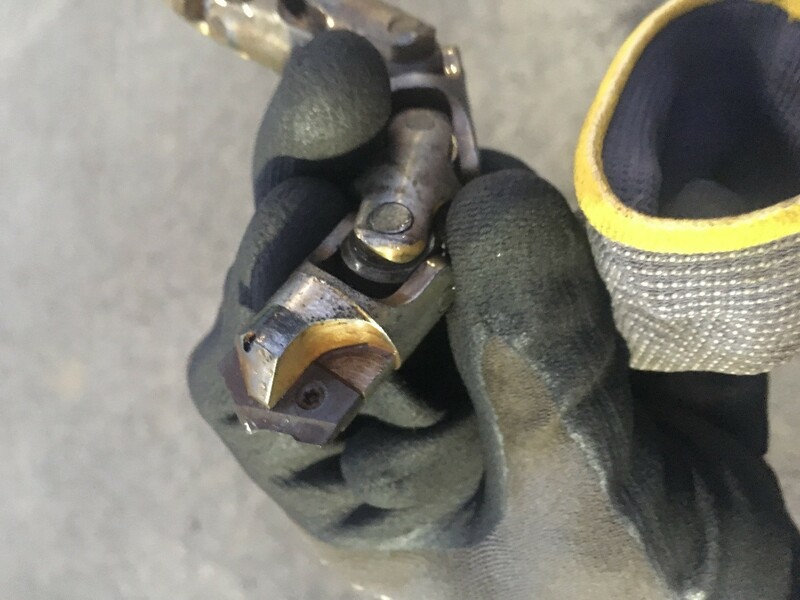 Once the nozzle has reached the formation, the water is pumped through the high-pressure hose and exits the nozzle. 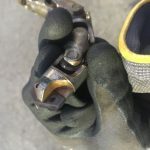 The nozzle has orifices that face forward to cut the rock, and orifices that face backwards to push the nozzle forward into the formation and to widen the hole behind the nozzle. 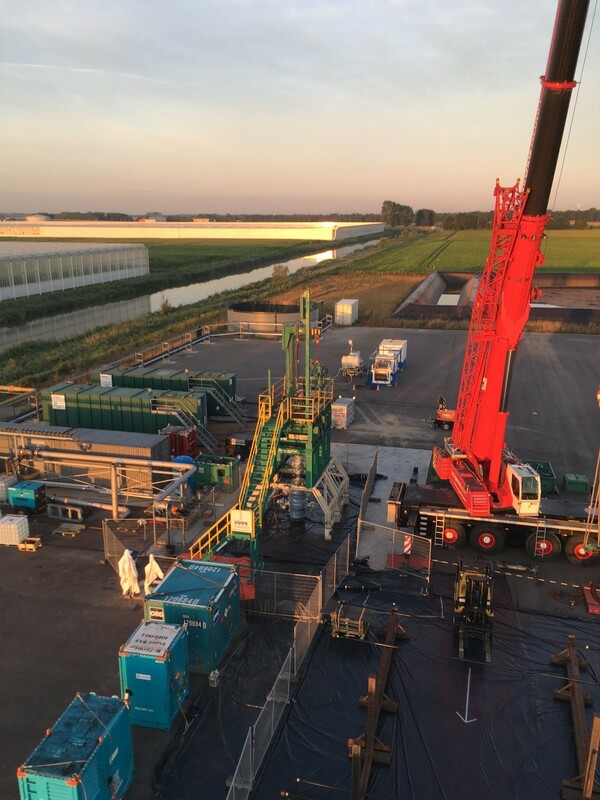 ECW’s geothermal well MDM-GT-05 was used for this trial.